Leading Light Energy | Why Leading Light Energy? The media is filled with stories about climate change and renewable power. But how do we separate fact from fiction, truth from scare story? Leading Light Energy offers frank discussion of key issues related to power generation in America– how do we continue to supply America with affordable power, what methods of power generation are reliable, how will we meet our energy needs in the safest possible manner. Terry Jarrett is a nationally recognized commentator and author on energy issues. 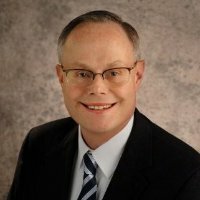 As a former State Utility Regulator in Missouri, and as an attorney and consultant in private practice, Terry has a wealth of experience in all aspects of regulatory affairs, including State Public Service and Utility Commissions, State and Federal regulations, regional transmission planning and operations, and public policy issues. Serving 6 years as Commissioner on the Missouri Public Service Commission, as well as serving as Chief Legal Counsel to Missouri Governor Matt Blunt, Terry brings experience and relationships that help him successfully represent his clients before key decision-makers in State and Federal Government. In 2001, Terry was appointed as Matt Blunt’s Chief Legal Counsel in the Missouri Secretary of State’s office, where he became a trusted legal and policy advisor. In 2004, Matt Blunt was elected Governor of Missouri, and Terry continued as his Chief Legal Counsel. Serving as a senior-level leader in state government gave him expertise on a variety of governmental and regulatory issues. In 2007, Governor Blunt appointed Terry to the Missouri Public Service Commission. During his time as a Commissioner, Terry became a nationally-recognized leader in energy, utility and regulatory issues. He was a member of the National Association of Utility Regulatory Commissioners (NARUC), and served on its board of directors and as Chairman of the Committee on Critical Infrastructure. During his tenure, he focused on cybersecurity issues and led NARUC to be one of the major organizations influencing national cybersecurity policy for critical infrastructure. After his 6-year term expired at the Missouri Public Service Commission, Terry joined Healy Law Offices, LLC in September 2013. He represents clients nationally on a wide range of issues affecting the power sector. As an attorney, he has appeared extensively before the Missouri Public Service Commission on behalf of utilities and other clients. He also advises clients on regional electric transmission and grid issues. Terry is a member of the Energy Bar Association. In addition to his energy and utility law practice, Terry has extensive experience in all aspects of administrative law, having served as the Presiding Commissioner (Administrative Law Judge) of the Missouri Administrative Hearing Commission. Terry issued over 100 written decisions in cases ranging from state tax issues to professional licensing issues. Terry also served as a Judge Advocate officer in the Army Reserves and the Missouri Army National Guard. He was an effective Trial Counsel (military prosecutor) and is a proud member of the American Legion.